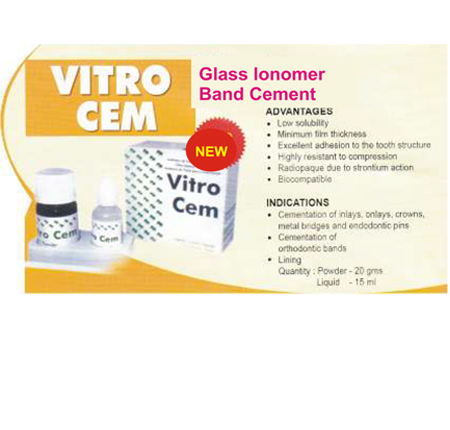 It is Glass Ionomer Band Cement.Used in cementation of inlays, onlays, crowns, metal bridges, endodontic pins, orthodontic bands and other linings.It is a liner and base. 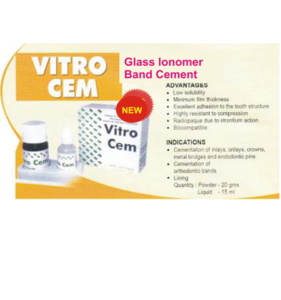 Light Cure Band Cement can be used to bond other orthodontic appliances using normal etching and sealing procedures. 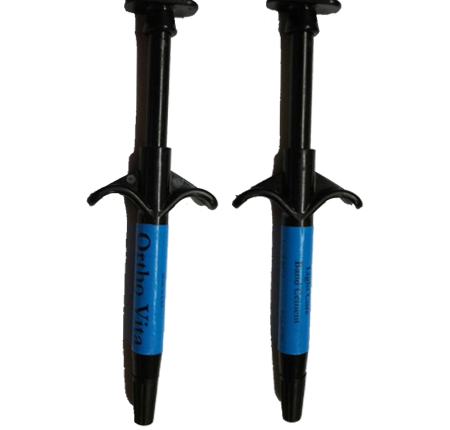 It is a composite no-mix, no-mess cement, with fluoride ion release, conveniently preloaded in syringes. 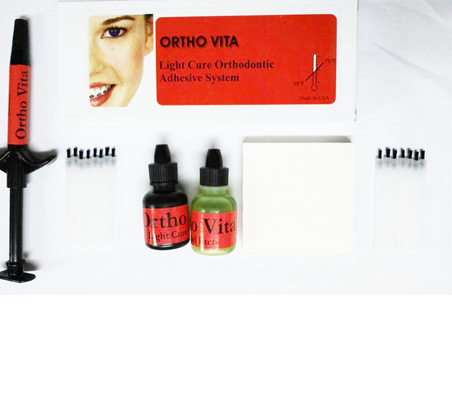 Light cure orthodontic bracket adhesive offers the most favorable properties for bonding brackets. 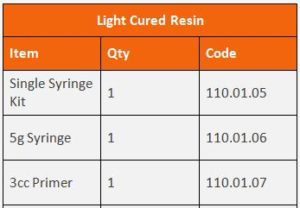 Tooth colored adhesive provides high bond strength with quick set time and low solubility and excellent handling characteristics. 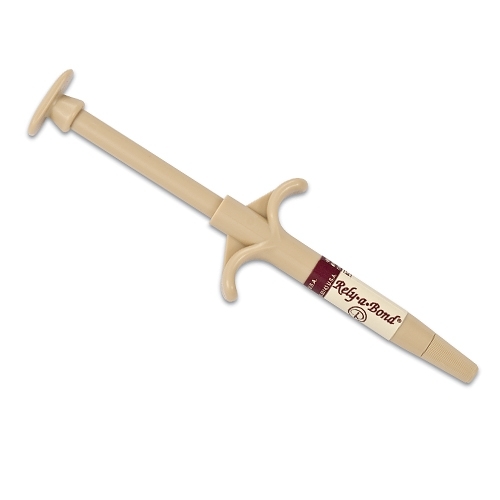 It is formulated with a highly filled paste that combines with a unique primer to produce bond strength to etched enamel that virtually eliminates bonding failures. The proprietary catalyst in the primer insures that the material reaches maximum bonding strength within five minutes. 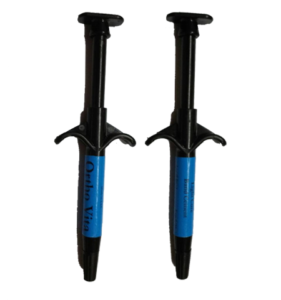 No wasteful mixing – the one paste bonding system sets on contact and so no mixing is required. Bonds metal, plastic & Porcelain brackets – It is a specially formulated adhesive which bonds metal and porcelain brackets. 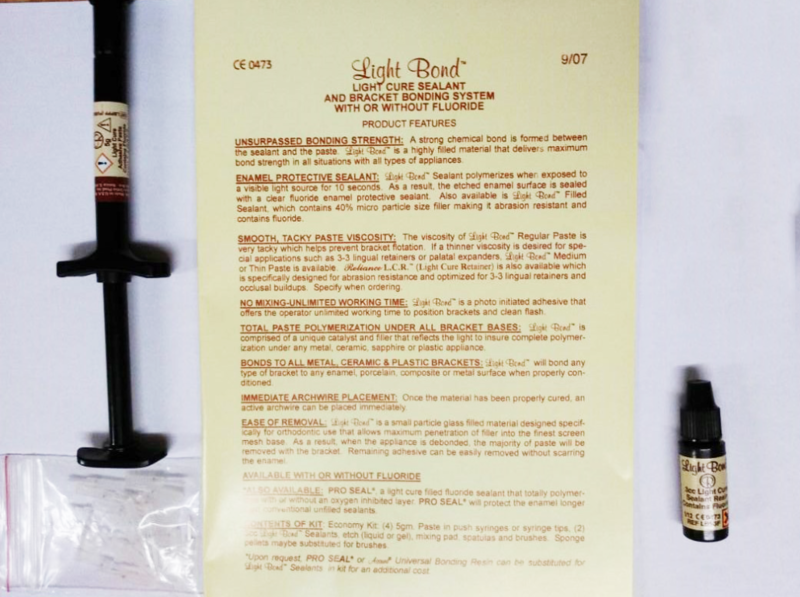 It also bonds all types of plastic brackets without use of an additional plastic conditioner. 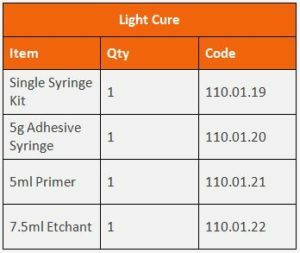 It is a light cure sealant and bracket bonding system.